In general, landlord and tenant acts can differ slightly from state to state. It is important to be educated as much as possible in order to make sure that there are no misunderstanding when moving to a new state. Connecticut landlord tenant laws are no different. This article is meant to serve as a compiled list and general guidelines as opposed to law. No part of this information is a substitute for legal advice. If you have questions or believe you have a legal case under Connecticut Landlord Tenant Law, you should contact an attorney. Stay up to date on Connecticut Landlord Tenant Laws + Save money on tenant screening and other property management needs. Join AAOA today, it’s FREE! Tenants are absolutely required to pay their designated rent on time and at the appropriate date that is settled on in the lease agreement. If the rent is not paid by the tenth day after it is due for yearly and monthly leases, and the fifth day for weekly leases, the landlord may start the eviction process. The rental unit must be kept in good condition, free of clutter, trash disposed of properly to prevent infestation. The tenant must also keep damages and repairs to a minimum. Tenants are required to keep their noise levels low and maintain an atmosphere that does not disturb or irritate their neighbors. All damages should be reported to the landlord and if they are the fault of the tenant or their family they are to be repaired. Tenants should allow the landlord entrance into the unit at reasonable times in order to make inspections or repairs that are requested. It is imperative that the tenant let the landlord know if they will not be around for an extended period of time in order for the landlord to keep things running smoothly and to not file abandonment on the tenant. Follow all move-out procedures appropriately. They must provide a clean and well-maintenanced apartment when the tenant moves in. Keep all common areas such as halls, meeting rooms, laundry rooms etc. cleaned and maintained. Common areas must be kept well-lit and safe. Landlords are responsible for making sure that all plumbing, and heating systems work well. They must be sure to repair all of these commodities as well as make sure that floors, ceilings, foundation, stairwells etc. are kept safe and useable. There must be at least two outlets in each room, working fire and smoke alarms, maintained and usable locks, fire exits, peepholes to see outside the door and more. Landlords must be sure to offer an extermination service available if the need arises. Trash services are also required to be available or at least some other means of trash disposal, including an option for recycling in some cases. There should be both an electronic and non-electronic option for tenants to pay their rent. If landlords are responsible for the utilities or repairs, they must be completed or paid on time. In general there are always two forms of a lease—written and oral. There are different things to keep in mind about both. An oral agreement is much less common, and is usually just a joint discussion between the landlord and the tenant. Oral leases are usually bound to just a month by month rental and cannot be really fought in court as it comes down to one person’s word against another’s. The length of time of the tenant’s rental. The names of both the landlord and the tenant as well as contact information for both. Rental amounts, due dates and any policies regarding late fees. Rules and regulations governing the property. Tenant and landlord rights and responsibilities. Which party will pay the utilities and when they’re due. Security deposit information and policies. Sublease agreements if there are any. Regulations regarding public laundry facilities if they apply. Appliances that are provided by the landlord if any. If there is no written lease, it is defaulted as an oral lease. According to The Federal Fair Housing Act it is illegal for landlords to discriminate against tenants or potential tenants on any basis. The landlord lives in one of the rental units and there are four or less in the area. The unit is part of a federal or state housing project. When a tenant feels as though they have been discriminated against, they should file a complaint immediately with the Commission on Human Rights and Opportunities. Security Deposit Information Most landlords charge a security deposit to their tenants at the time of move-in. These are basically down deposits that are held in order to protect the property and motivate the tenant to take care of the rental unit. Most security deposits are used for damages which are caused by the tenant during the rental period or in some cases to pay a missed month’s rent at the end of the lease. It is completely separate from the monthly paid rent and is oftentimes a one-time fee. The deposit is not allowed to be more than two months’ worth of rent, and if the tenant is older than sixty two years old, it cannot be more than one month’s rent. The security deposit is required to be put into an escrow account to accumulate interest that is given to the tenant, as long as they are paying their rent on time and keeping up the rental unit. If a landlord does not pay the tenant the interest, they may be sued in a court of law. If the tenant has not caused damage to the rental unit during their stay and has paid all rent in a timely manner, the security deposit must be returned at the end of the lease. Tenants are responsible for making sure their landlord knows their new address in writing in order to properly receive their security deposit at the end of the term. The landlord has thirty days after the tenant moves out to return the security deposit, or to provide a written itemized list as to why the full deposit is not being returned, in the case of damages or unpaid rent. In the case of no response before the thirty day deadline, the landlord can be liable for twice the amount of interest paid. In order to prevent their security deposit from not being returned by a crooked landlord, tenants should do a few things to help. They should create a checklist of everything in the apartment as well as detailed documentation of the quality of it at the time of move-in. Pictures and video footage of the inside of the rental unit is heavily suggested as a means of security. Clean the apartment and make sure all damages done by them or their family are taken care of upon move-out. All of these things should be kept on file and in writing for both parties. Information Regarding Eviction and Lease Termination It is important to realize that lease termination or landlord eviction is a real possibility in the renting world. It is important to maintain all legality to prevent any problems from happening and to keep the chance of eviction at a minimum. There are a few things to know about the eviction and lease termination process. Tenants must give as much notice as possible when breaking their lease. Landlords may opt to keep the security deposit to offset the losses of a dropped tenancy. The only legal way to evict a tenant is by a court order. Landlords may not force a tenant to move by having the utilities turned off, changing the locks and/or locking a tenant out, or removing their belongings from their unit. Only police can physically evict a person. Violation of lease terms and agreements. Serious nuisance either to landlord or other tenants. The landlord must first serve a written eviction notice to the tenant. They do not have to give a stated reason for eviction. If the tenant has not moved willingly by the date stated in the eviction, then a court order will be served. At this point, the stay and fees are determined by the court and the tenant will be forced to move out if they lose their case. 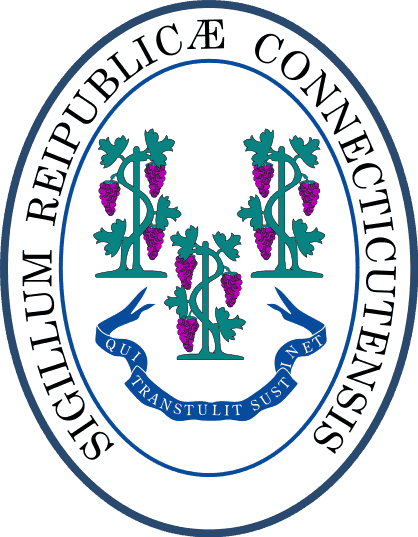 If You Need More Information For all the information you need regarding Connecticut landlord tenant laws, visit the Connecticut Judicial Branch Law Libraries. For more detailed information, access the Connecticut Landlord and Tenant Act. For the Federal Fair Housing Act and other tenant laws, visit the HUD U.S. Department of Housing and Urban Development. A key component of landlord tenant laws is also Connecticut Tenant Screening Background Checks. We’ve dedicated an entire page to it because of its importance. Visit Connecticut Tenant Screening Background Checks to screen your tenant. All states require a variety of forms to rent an apartment to a tenant and Connecticut is no exception. Check out American Apartment Owners Association’s Connecticut Landlord Forms now. Looking for landlord tenant laws outside of Connecticut? The American Apartment Owners Association offers helpful landlord tenant laws for all 50 states. Click on any of the states listed below and go directly to its landlord tenant law page. To visit the homepage of landlord tenant laws, click here.